In the last couple of years, India has seen a huge surge in destination weddings. We surely can’t forget the lavish & royal wedding of Priyanka Chopra – Nick Jonas in Jodhpur and Deepika Padukone – Ranveer Singh in Italy. It only goes on to prove that, with people getting more purchasing power in hand, the desire to spend and make their wedding day super-special has become strong. 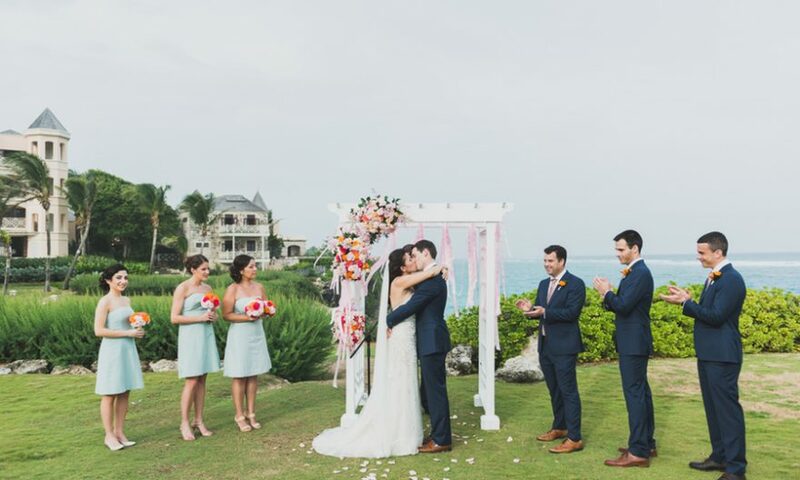 And the results are dreamy destination weddings. But why there is an inclination towards destination weddings? The reasons are pretty simple and straightforward, they are less stressful to organize and the budget can be adjusted easily as per the number of guests. So now, you & your fiancé have decided to have a destination wedding but have you answered the most important question yet? Where you want to get married? If yes, then great but if not, then still okay. Your BFF Shaadidukaan is here to help you with that. We bring 4 super-fun ideas which will help you in fulfilling your dream of having a destination wedding. Go, Goa! If you and your fiancé love sunny sea-side then Goa is the best wedding destination for you. Imagine you and your soul mate, on a beach taking vows with mesmerizing sound of crashing waves. Beautiful isn’t it? You can even set a dress code/theme for all the wedding functions like an all-white affair. Also, Goa is one of the most preferred wedding destinations; hence it houses many luxurious hotels ranging for all types of budgets. Naturistic Lonavala! If you’ve ever been to Lonavala (especially during monsoons), that place is literally heaven on earth. And if both of you are a nature lover then Lonavala is a must pick for a destination wedding. The options of good hotels are also easily available as it’s a famous tourist destination. Please take care that Lonavala is great to visit during monsoons for tourism purpose only and not for a wedding. You surely don’t want rains to spoil the big day. Royal Rajasthan! Destination wedding in Rajasthan has become synonymous to Priyanka Chopra and Nick Jonas’ wedding. It was all about royalty and if that’s a type of wedding you’ve imagined then this is the place where you should marry. Of course, we are not saying to get married at Umaid Bhawan Palace (by all means go ahead, if you can), there are lot many palaces in the desert state to choose from. To name a few, Chunda Palace (Udaipur), Rambagh Palace (Jaipur), Jai Mahal Palace (Jaipur), Kumbhalgarh Fort (Alwar); the list is endless. Rejuvenating Mysore! With the ever-increasing popularity towards yoga, Mysore can be a perfect choice of wedding destination for fitness conscious couples. In addition to being the yoga-capital, Mysore is also famous for its culture and heritage. Being in South-India, you can plan a local dress code for the wedding, like silk saree (for ladies) and kurta-dhoti (for men). And to assist you in managing the event, you can also hire prominent destination wedding planners in Bangalore. Now, there can be n number of wedding destinations and we have compiled a list of only limited yet famous ones. But simply deciding and finalizing a location is not sufficient because there are many other factors as well. Below is a list of certain important points to consider before planning a destination wedding. Make sure you’ve picked the right location and not some far-away place (from civilization) where neither the guests nor any vendors are comfortable going. As destination wedding goes over a period of 2-3 days, you need to inform the guests about it in advance. Because some may have to apply for leaves from office and if you spring a surprise upon them (maybe they even not attend due to non-availability of leaves). Planning the budget is one of the first most important tasks which the couple needs to complete. Define the maximum amount of money you are willing to spend and make all the bookings (hotel, travel, food etc) within that budget only. Lastly, do bookings in advance.